First degree in Physics & Electrical Engineering at the Technion. Participated in the Technion Excellence Program: October 2006 – July 2010. 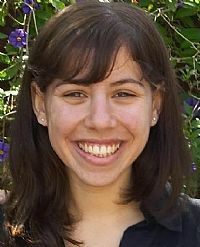 Today (2012): Inbal is in her second year of second degree at the Weizmann Institute in the Faculty of Computer Science and Mathematics. She works with Prof. Boaz Nadler on a thesis in the field of Machine Learning. Inbal is also a part of "spaceil" – Israeli team participating in the competition of the lunar X Prize aims to land a spacecraft on the moon.